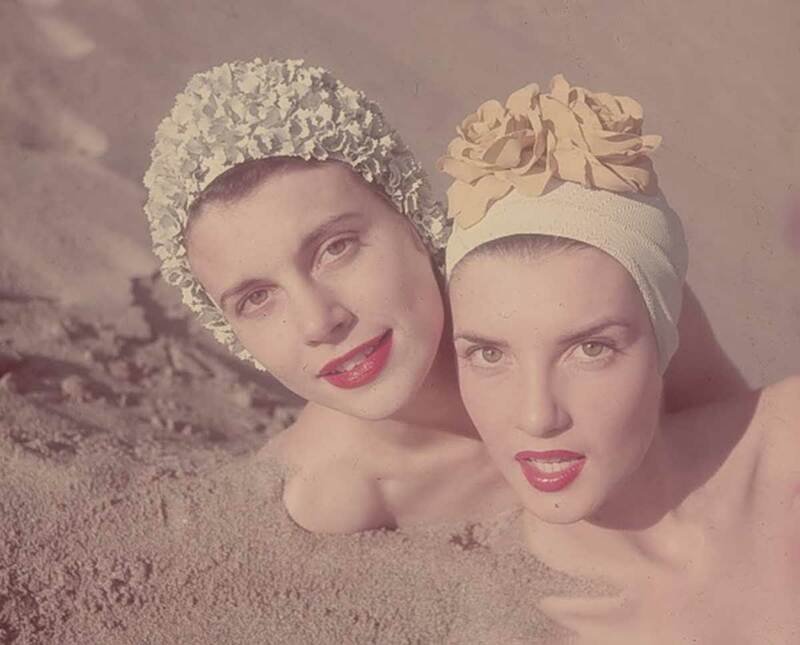 The flattering rubber headgear in these images by Loomis Dean of Life magazine, represent a new skirmish in the battle of the bathing cap manufacturers vs. Esther williams. Miss Williams some time ago depressed the industry by proving a woman with wet hair was in fact ” still beautiful”, provided her hair was long enough to braid and she had a face like Esther’s. A lot of women began dispensing with their caps since the customary white skull-hugging style often resembled a peeled onion. Now, however, the Kleinert Company is introducing on the Florida front, a number of hat like caps which are both practical and very fetching. The flowered bonnet has 17 dozen rubber buds, comes in several pastels and costs $7.50. The rose decked cap costs $3.95, is made like some worn in an Aquacade ballet. The multicoloured dots are screen printed on a cloche that sells for 89c. 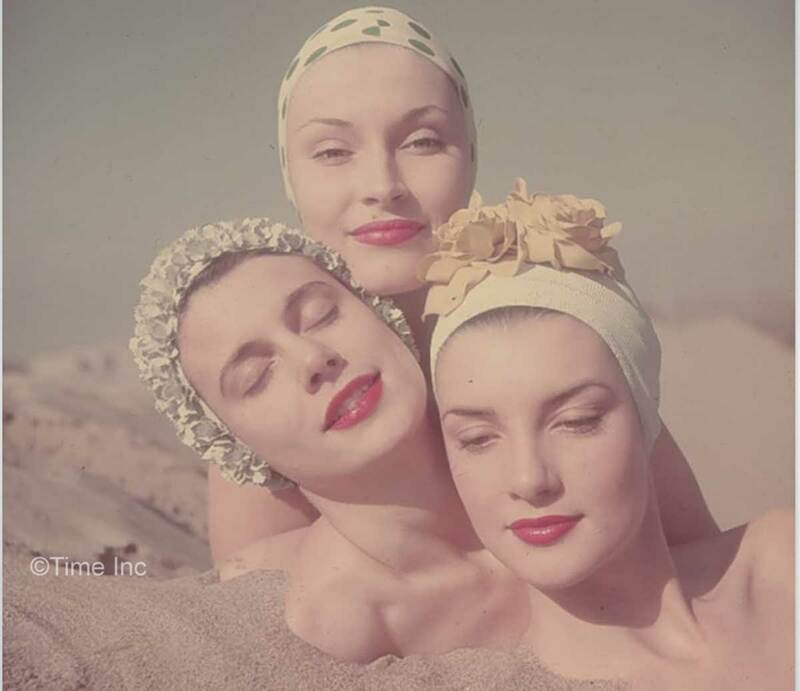 All three come with chin straps for those determined divers.